Marketplaces are the new business model in the sharing economy and as we have seen in the case of some unicorns, like Uber and Airbnb, they have caused massive disruptions in the traditional models. With rapid growing interest in marketplaces, we thought we’d put together a list of the leading experts in the marketplace and platform economy to help you arm yourself with the best knowledge to survive these radical digital disruption. The following list, arranged in no particular order, includes marketplace investors, entrepreneurs, best-selling authors and prominent public speakers who are at the forefront of this industry. James Currier is the managing partner at NFX Guild, an invite-only accelerator focused on digital networks and marketplaces which has invested in 42 companies. James has advised marketplaces like Angelist, Goodreads and Scripted. He is a serial entrepreneur who has built social media network Tickle, a tech company greenhouse Ooga Labs with Stan Chudnovsky, Jiff and IronPearl. He is currently working on Jiff Inc., a marketplace for connecting the mobile health ecosystem to the healthcare industry. With these entrepreneurial experiences, he is an expert in product strategy, product development and Growth 2.0, particularly in marketplaces. As the Founding Partner of NFX Guild, Gigi advises startups focused on building marketplaces. He mentors companies including LoveLive, MyHeritage, Bizzabo and many more. Gigi is also an angel investor who works primarily with internet, software and gaming companies. He has been a speaker at conferences such as Com.vention, Casual Connect, and others. On top of these, he is also an expert in digital marketing, specifically, SEO and SEM. Tristan pulls together his experience as co-founder of Storefront and SocialEarth to mentor startups incubating at 500 Startups, the world’s most active startup accelerator. Storefront is a marketplace for retail space and has been acquired by Oui Open in 2016. Tristan has also been featured in 2015 Forbes 30 Under 30 list. He writes about international marketplaces and the sharing economy here. Bill Gurley has more than 10 years of experience as a General Partner at Benchmark Capital, an early-stage venture investing in mobile,marketplaces, social, and infrastructure and enterprise software. It has funded successful marketplaces like eBay, Uber, Snapchat and Instagram, just to name a few. Bill is currently on the Board of Directors at these companies: Brighter, GrubHub, Linden Lab/SecondLife, LiveOps, NextDoor,OpenTable, Scale Computing, Uber, Ubiquiti Networks, and Zillow.com. He writes extensively about funding on his blog. As the founder of Platformation Labs, Sangeet Paul Choudary advises Fortune 500 firms on digital transformation and works on platform strategy with large enterprises as well as startups. He is also the best-selling author of the books Platform Revolution and Platform Scale.He is ranked among the top 30 emerging thinkers globally in 2016 by Thinkers50 Radar and his work on platforms has been selected by Harvard Business Review as one of the top 10 management ideas globally for the year 2016-17. Additionally, he is the co-chair of the MIT Platform Strategy Summit at the MIT Media Labs, an Entrepreneur-in-residence at INSEAD Business School, and an executive educator with Harvard Business School Publishing.Read some of his slides here. Lisa is an entrepreneur, investor, speaker and author of the bestselling book, The Mesh: Why the Future of Business is Sharing and the chief instigator of Mesh Labs – a global directory for the sharing economy. The team at Mesh Labs are also angel investors who work alongside early stage startups focused on peer-to-peer marketplaces and similar platforms. Currently, Lisa is Chief Instigator of Mesh Labs and advises ventures including Mosiac, Taskrabbit, Yerdle, and more. As an expert on the Sharing Economy, she writes and speaks on the topics of cities as platforms, power of peers, and shareable business models here. Neal Gorenflo is the co-founder of Shareable, an award-winning news hub for the sharing transformation. As an expert in this field, he writes and speaks on the sharing economy, sharing cities, and the future of work. He is the co-editor of the sharing-themed books, Share or Die and Policies for Shareable Cities. His expertise on the subject has been featured on Wired, Fast Company, and The Today Show, amongst others. Benita is the Founder of The People Who Share, and a worldwide expert,speaker and consultant on the Sharing Economy. The People Who Share is a social enterprise that helps people and companies discover the Sharing Economy. She has been hailed as one of the top 10 people in the Sharing Economy to follow and Benita has a long list of accolades to her name including Natwest Venus Entrepreneur of the Year 2015. As a seasoned public speaker, Benita has delivered presentations on many occasions including TEDx, European Parliament, and Nesta where she launched the Global Sharing Economy Network. Read up more about her thoughts on the sharing economy here. Rachel Botsman is the global authority on the sharing economy and trust enabled by technologies. In her highly acclaimed book, What’s Mine is Yours, she delved into a concept called “collaborative consumption”. This concept was subsequently named by TIME as one of the “Ten Ideas That Will Change the World” and by Thinkers50 as the 2015 Breakthrough Idea. She has also given TED talks on the subject which garnered more than three million views. On top of these, Rachel is a regular writer in leading international publications including The New York Times, The Wall Street Journal, The Economist, Wired and more. She is recognized as one of the world’s top 20 speakers to keynote your conference by Monocle, one of the Most Creative People in Business by Fast Company and a Young Global Leader by the World Economic Forum. Jeremiah Owyang is the founder of Crowd Companies, a council that helps brands navigate the next phase of disruption in the Collaborative Economy. As the leading authority on this subject, he has conducted many keynote speeches around the globe, including SXSW Ignite, Collaborative Economy Conference, and Airbnb Open. His widely read blog on the Collaborative Economy, receives more than a 100,000 views each month. He is also frequently quoted on publications and media such as Wall Street Journal, New York Times, USAToday and many more. Chelsea Rustrum is a consultant, speaker and author on the Sharing Economy. In her latest book, she co-wrote It’s a Shareable Life, a practical guide to the Sharing Economy. She has conducted multiple talks on the Sharing Economy, Marketplaces of the Future and The Gig Economy at TEDx, Expo Milan and General Assembly. As a marketing consultant, she has helped early to mid-stage startups, including Couchsurfing, Listia, NearMe, and Yerdle to build their community and gain visibility. She has also been featured in Inc., Wall Street Journal, TechCrunch and many more. Debbie Wosskow is the founder and CEO of Love Home Swap, and is also the co-founder of AllBright, a unique UK funding platform designed to empower female-led businesses. She is a very prominent serial entrepreneur in the UK, who is known for successfully launching and scaling marketplaces. As an investor, Debbie has personally backed a number of female-led businesses including Sharestyle, a digital marketplace for style services and Nimber, a sharing economy platform focused on social delivery. She is also the Chairman of Sharing Economy UK (SEUK) and sits on the Mayor of London’s Business Advisory Board. In 2015, Debbie was named as one of the most influential people in London by Evening Standard. April Rinne is a strategic and policy advisor, with a strong expertise on the subject of the sharing economy. She has successfully scaled global initiatives, advised start-ups, Fortune 500 companies, and think tanks worldwide.She is currently the advisor at AnyRoad, Jobbatical.com, and Trov Inc. She is also a Young Global Leader at the World Economic Forum, where she leads the Sharing Economy Working Group. Her writing on the sharing economy has appeared in The Guardian, WIRED UK, The Washington Post, World Economic Forum, Huffington Post and other publications. She has spoken at the OECD, the EU Commission, the White House, national parliaments, MIT, Social Innovation Generation (SiG), the Institute for the Future, Techonomy, Sustainable Brands, Etsy and many more. Michel Bauwens is the founder of the Foundation for Peer-to-Peer Alternatives and works in collaboration with researchers on peer production, governance and property. As a Peer-to-Peer theorist and active writer, he has authored of a number of online essays, including the seminal thesis Peer to Peer and Human Evolution, and The Political Economy of Peer Production. He frequently lectures on the subject of Peer-to-Peer sharing worldwide. Read more about the research on Peer-to-Peer economy here. At Version One Ventures, Boris Wertz invests in early-stage outstanding consumer internet, SaaS and mobile entrepreneurs throughout North America. He is helmed as one of the top tech early-stage investors in North America and is also a board partner with Andreesen Horowitz. Prior to this, he was the Chief Operating Officer of AbeBooks.com which was sold to Amazon in 2008, which gave him operational experience to guide other entrepreneurs to start, build and scale companies. He has a varied portfolio of more than 50 investments including, Edmodo, Mattermark and Indiegogo. In 2005, he was named the Pacific Ernst & Young Entrepreneur Of The Year. Simon is one of the world’s pioneering experts in marketplaces and network effects, he joined eBay as an early employee and helped it scale to a global platform with nearly 200 million users, generating over $40B in sales. At Greylock Partners, he has served as an advisor to many marketplaces and networks including Lyft, Taskrabbit, and Poshmark, amongst others. With his profound expertise in the area of network effects businesses and transaction-based startups, he has been appointed to lead Greylock’s $100 million commitment to marketplace investments. You can find some of his opinion pieces on the subject matter on here. Charles Hudson is the Managing Partner at Precursor Ventures, a classic seed stage investment firm based out of San Francisco. Precursor Ventures focuses on investments in B2B software applications, B2C software and services, and connected hardware. Prior to launching Precursor, Charles Hudson was a Partner with SoftTech VC, one of the most active seed stage investors in Internet and mobile startups. He focused on identifying investment opportunities in mobile infrastructure, mobile applications, and marketplaces. He was also the Co-Founder and CEO of Bionic Panda Games, an Android-focused mobile games startup. He writes about his opinion on technology and marketplaces here. Thomas Korte is the founder of AngelPad, a seed-fund and startup accelerator, which has been ranked No. 1 U.S Accelerator by the Seed Rankings Project of MT/RIce University. Prior to this, Thomas worked at Google for 7 years, where he was the first International Product Manager. Thomas’ exits include Mopub (Twitter), Adku (Groupon), Spotsetter (Apple) among many others. His notable investments include Postmates, Angellist, DroneDeploy, Periscope Date amongst some 150 other companies. He provides useful advice on how to get funded and shares his knowledge about the industry here. Willy Braun is the Co-Founder at Daphni, a venture capital fund investing in user-oriented, early stage European startups with a global outlook. Willy is an expert in venture capital, innovation marketing and online marketing. He has written extensively about innovation and marketing on Medium, and published a best-selling book, Internet Marketing in 2013. He also presents his ideas on marketplaces and building organisations at conferences. At Structure Capital, Mike Walsh is an investor and advisor at companies including Salesforce.com, Uber, SurfAir and Breather. Structure Capital focuses on investing seed-stage capital in companies that create a new market or new set of buyers by capitalizing on under-utilized assets. Prior to this, he founded an enterprise social networking company and sold it in 2011. His expertise lies in helping enterprise companies and B2C startups acquire their first customers, partners and revenue. Marco Torregrossa is the managing director at Euro Freelancers, a synergic network of independent EU affairs professionals and investors specialised in the collaborative economy and crowdsourcing solutions. He is also the Secretary General at the European Forum of Independent Professionals, a European association which supports self-employed ways of working. His deep passion for how work will change in the sharing economy and how blockchain decentralised networks can disrupt markets, has motivated him to serve on the aforementioned EU expert groups. He has been quoted in major publications and is a frequent public speaker on the subject, including TEDxMoscow 2013 and TEDxLeuven 2014. Arun Sundararajan is a professor, researcher, writing and public speaker in the domain of crowd-based capitalism and marketplaces. In his latest book, The Sharing Economy, he sketches out the future of work as a consequence of digital transformations. He has published over 50 scientific papers and over 30 op-eds in major publications including The New York Times, The Financial Time, and The Guardian. He has also presented at more than 250 talks at international forums. Watch his presentation here. He also provides expert input about the digital economy at the Presidential Council of Advisors on Science and Technology, the National Economic Council, and the White House. Read more about his latest opinions on marketplaces here. Natalie Foster is an expert future of work, more specifically, platform work and the gig economy. She is currently an advisor to The Aspen Institute Future of Work Initiative, a year-long nonpartisan effort to identify concrete ways to strengthen social contract in the midst of changes in the workforce. She is also the co-founder of Peers.org to support stakeholders in marketplaces. She is one of the Top Fifty Women to Watch in Tech and has spoken at multiple conferences like SXSW, Social Media Week and Ouishare Fest. Emily Benkert is the Founder and CEO of Guesthop, where she brings together her expertise in business and people management to build this fast growing marketplace offering concierge services for people renting out their spaces on Airbnb. She has spoken many times at conferences focused on home sharing and is a member of the Home Sharers of San Francisco Democratic Club. Max Mullen is the co-founder of Instacart, an online service that delivers groceries to customers. The rapid growth startup now operates in 17 major cities in America. As the Co-Founder, he leads their consumer product, product management and design teams. He combines his previous experience in other startups including Schemetic, to push the boundaries of user experience in Instacart. At Airbnb, a trusted community marketplace for people to discover and book unique accommodations around the world, Donna Boyer leads the product teams focused on the host experience. She has more than 20 years of experience in empowering product teams to build outstanding user experience at Hyperion Solutions, Yahoo!, Blurb and more. Robin Chase is a prominent figure in the car sharing space. She is the co-founder and former CEO of ZipCar, the largest carsharing company in the world; Buzzcar, a peer to peer carsharing service in France; and GoLoco, an online ridesharing community. She is also the co-founder of Veniam,a vehicle communications company with networks of connected vehicles for the Internet of Moving Things, and is the Executive Chairman of the company. She writes about how people and platforms are inventing the collaborative economy in Peer.Inc. Robin lectures widely, has been frequently in the major media and has received many awards including Time 100 Most Influential People, Fast Company Fast 50 Innovators, and BusinessWeek Top 10 Designers. Casey Fenton is the co-founder and founding chairman of Couchsurfing, a marketplace where hosts share their homes with travelers. At CouchSurfing, he focused on engaging the community and building the organisation. He is also an Ashoka fellow which is the world’s largest network of social entrepreneurs.Find out more about his journey building CouchSurfing and encouraging trust in the marketplace here. Cheng Wei is the CEO of Didi Chuxing, a mobile transportation platform that offers a range of commuting options to 400 cities in China. The fast growing company has completed 1.43 billion rides across different verticals in one year alone. Prior to this, Cheng Wei spent 8 years at Alipay, Alibaba’s online payment service. 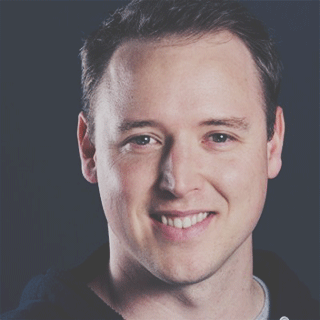 As the co-founder and COO of Toptal, he combines his technical expertise and management experience to ensure that Toptal excels as the company rapidly scales.Breanden frequently writes about scaling a hyper-growth and distributed company, and he has been featured on the blog of Tim Ferriss, The Huffington Post, and many others. Mikael Cho, is the co-founder of Crew, a marketplace which connects hirers to designers and developers. Over the last 3 years, there has been $30M in contracts posted on Crew, each manually reviewed by their team and they now support members across 32 countries. Michael is an expert in launching and building marketplaces, he blogs about his experiences on Medium and TheNextWeb. Juho Makkonen, is the co-founder & CEO of Sharetribe, a platform for creating peer-to-peer marketplaces that power this new economy. He has been researching and building online communities and marketplaces since 2008, which then sparked the idea of creating Sharetribe. Juho shares about peer-to-peer marketplaces, online community building and web development on Sharetribe and Quora. He is also building the OuiShare community, a global non-profit organization focused on advancing the collaborative economy,in Finland. Kenneth is the Chief Commercial Officer at Arcadier, a Next Gen Marketplace SaaS company which enables anyone to develop their own marketplace with no coding knowledge required. Together with his team, Kenneth scaled Arcadia into an international business, expanding into markets including Southeast Asia, Latin America and China. He writes about building,scaling online communities and trends in the marketplace industry here. Tony Lai is the co-founder of Legal.io, a technology platform enabling legal marketplaces and networks powering delivery of legal services. Tony is a lawyer turned entrepreneur and currently sits on the judging panels at StartX, a Stanford student startup accelerator program. Tony is also a Fellow at Code X, the Stanford Center for Legal Informatics. As an advocate of design thinking, he focuses on building a platform that will transform the legal industry with user-centered design and the latest technologies. Tyson Hackwood is the Head of APAC for Braintree, which powers payments for thousands of online and mobile commerce innovators including Airbnb,Uber, GitHub and Lyft. He has gained over 15 years of experience in both Online Payments and Mobile Payments when he worked at various organisations like PayPal and Vodafone. With his strong track record in driving business growth, he is leading the expansion of Braintree and its international leadership in mobile payments with a focus on the APAC region. He has presented on the trends in the Payments industry at General Assembly and Tech In Asia 2015, amongst others. John Collison is the co-founder and president of Stripe, the company that has changed online payment by making internet transactions easy to process. In just 5 years, John has grown his company to more than 500 employees and is now valued at $5 billion. With Stripe powering multiple marketplaces like Instacart, Deliveroo, Grab, John and his team will continue to shape how transactions are made. José del Barrio is the founder of Samaipata Ventures and holds the position of CEO of the fund. He is considered a food marketplace expert as he cofounded La Nevera Roja, the leading web site in the Spanish food-delivery market, and sold it to Rocket Internet for ~80M€. At Samaipata Ventures, José brings together his entrepreneurial, consultant and analyst experiences to advise early stage Marketplace and E-commerce startups. At Uber, Andrew Chen runs their ride acquisition programs. He is hailed as one of Silicon Valley’s thought leaders on growth, mobile and startups. He has written more than 650 essays on these topics which have been featured in The New York Times, Wired and the Wall Street Journal, amongst others. Read more about his opinions on growth here.He is also an advisor/investor for startups including AngelList, Dropbox, Product Hunt and Tinder. Chris Tung recently joined Alibaba Group, an online and mobile commerce company, as the Chief Marketing Officer. Prior to this, he was the CEO of VML China, a marketing agency and Vice President of Marketing at PepsiCo China. Decades of international marketing experience makes him one of the key thought leaders in China’s marketplaces. Cheryl Goh currently leads the marketing of Grab for 30 cities in six countries, encompassing six verticals. As the Group Vice President of Marketing, she drives the strategy behind the company’s user growth, lifecycle management, digital marketing efforts and country expansion. Seen as the thought leader in this industry, she has served as a panellist at various technology, start-up and digital marketing conferences. She has also won multiple awards in 2016, including Brand Builder of the year by CMO Asia, LinkedIn Power Profiles for Singapore, and Best Campaign for Brand Awareness by MOBEX. As the Co-Founder and CEO of Lyft, Logan is an expert in growth and business strategy. Combining his previous experience as CEO at Zimride, the long-distance ridesharing service, Lyft has gained huge traction and now provides more than 17 million rides a month and has grown nearly 2.5x year-on-year. Recognised as an expert in the marketplace industry, eBay adds Logan Green as its Member of Board. At Jugnoo, a hyperlocal on-demand multi-service provider which employs auto rickshaws as its logistic partners, Paraj drives the growth strategy, user acquisition and user retention. He is a growth professional and has launched Jugnoo’s B2B delivery service in 11 cities. Prior to Jugnoo, he led a 180 member Click Labs team to a 100% topline growth in 12 months. Read more about his thoughts on scaling here. Rich Pearson spearheads the marketing and categories teams at Upwork, the world’s largest online marketplace for connecting businesses with skilled talent. Prior to this, he has held senior marketing positions at Yahoo!, Attributor, Del Monte Foods and others. Rich frequently shares his opinions on customer acquisition, performance marketing and growth on Chief Marketer and CMO.com. 44. Zack Onisko, VP of Growth at Hired Inc.
Zack has nearly 15 years of experience as a product growth and marketing strategist. He brings his experience in growing three startups to Hired, a marketplace that matches full timers and freelancers to the world’s most innovative companies. He is also a startup mentor at Dwell, Reforge, GrowthX, and more. More recently, he was named as one of the top 50 growth experts in U.S by Tradecraft. You can find his presentation on early traction here. Pam Webber leads the global marketing at 99designs, the world’s largest graphic design marketplace with more than 250,000 graphic designers from 192 countries around the world. More specifically, she drives the global marketing team responsible for increasing customer acquisition and increasing the lifetime value of customers. Since joining the company, Pam and her team have led 99designs through double digit growth rates each year. She is well-versed in a broad range of marketing levers including SEO, SEM, display, amongst others. At Class Pass, a subscription-based marketplace for boutique fitness, Joanna leads customer growth, community development and lifecycle marketing. She has more than 12 years of experience in technology startups and marketing leadership, with a focus on revenue growth, marketing strategy and management. She is a digital evangelist, writer and public speaker who has spoken at Web Summit Dublin, SXSW, Traction Conference, amongst others. Apart from being a thought leader in digital marketing, Joanna is also a startup mentor (Techstars, Next, UP Global, Startup Weekend) and educator (UW professor, Advanced Digital Marketing). Find more of her writing here. 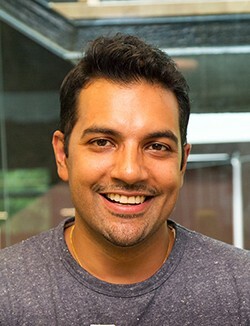 Nilan Peiris is the VP Growth at TransferWise, a peer-to-peer money transfer marketplace with customers sending £500m every month using the platform, where he leads the team in product as well as marketing. Nilan has strong capabilities in launching, scaling and transforming web businesses. He has presented on the subject of product driven growth at multiple conferences including The Product Conference in London and Mind the Product. Find more of his presentations here. Andy Johns is the VP of Product and Growth at Wealthfront, an automated investment service that manages portfolios for investors. Andy is responsible for delivering Wealthfront as a strong product for clients, and leading initiatives to increase the client base. He has strong experience in helping startups accelerate their growth in previous roles at Facebook, Twitter and Quora. Andy is also an advisor to ClassPass, Poshmark, Flipboard and more. Read his thoughts on growth frameworks here. After his last company was Acquired by Adobe (BusinessCatalyst.com 2009), Adam Broadway saw the shift happening from traditional single vendor eCommerce to Multi-Vendor Marketplaces. Adam’s real-world business acumen and deep technical knowledge building Enterprise grade scalable solutions has allowed brands like Intel, Hallmark and serious Entrepreneurs build their marketplace verticals for People, Products, Places and Project-based Communities. As CEO and Founder of Near-Me.com, Adam has become the “go-to” guy for knowledge on building successful Marketplaces and provides rich thought leadership at blog.near-me.com . Adam Fishman is the VP Growth & Marketing at Patreon, a top platform for connecting creators with their greatest fans. He has more than 10 years of experience driving customer acquisition, retention and product growth with companies such as Lyft, Shutterfly and Expedia. He joined Lyft as an early employee and led Lyft’s growth that corresponded from serving 1 to 70 cities in three years. Subscribe now to be the first to receive updates from us, and about Tech Marketplace Summit 2017!